In order to understand someone fully, you must understand where they’ve come from. 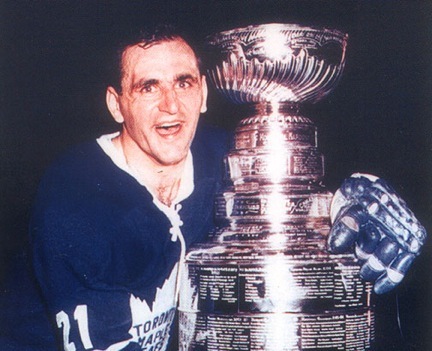 From 1956 until 1973 the great Bobby Baun played 17 seasons in the NHL, earning himself no less than four Stanley Cup rings with the Maple Leafs, along with the hearts of the people of Toronto. The Belfast Giants today announced their latest addition, a Right Winger who stands 6 feet 2 inches tall at age 26- but it’s no coincidence that from the very moment he could walk, Bobby Baun’s grandson Kyle wanted to play hockey. Kyle Baun comes to the Belfast Giants after finishing last season with Adam Keefe’s older brother Sheldon and his eventual AHL Champion Toronto Marlies- his home town AHL team and the same Leafs organisation where his Grandfather made the Baun name famous. But Sheldon Keefe is not the only connection to Belfast in the vast, but also strangely small hockey world. Baun spent three years in the NCAA with Colgate (a team very familiar to both Belfast Giants and Friendship Four fans) collecting 79 points in 113 games whilst sharing a room with one Darcy Murphy. It was he, along with last season’s cult D-man and Sheffield’s panto villain Spiro Goulakos who spent the summer extolling the virtues of Belfast as a place to come and play your hockey. 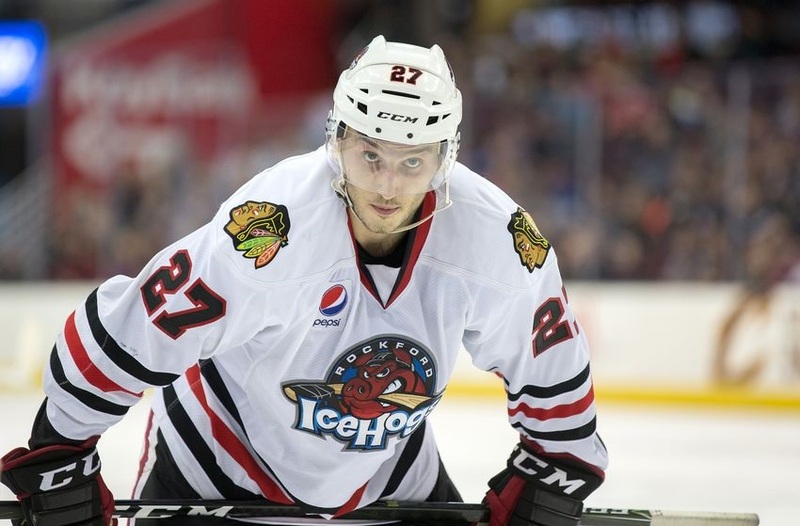 Leaving Colgate in his Junior Year on a 2 way deal with the Chicago Blackhawks, Baun notched 5 NHL appearances before joining the ‘Hawks AHL affiliate Rockford Icehogs. Despite an injury plagued first season, he returned in 2016/17 to amass 34 points over a long 74 game season- something which will stand him in good stead as Belfast look to conquer Europe in the Continental Cup along with the usual EIHL domestic competitions. An Adam Keefe era signing if ever there was one. Welcome to Belfast, Kyle Baun.